I'd like to introduce to you, my new love! 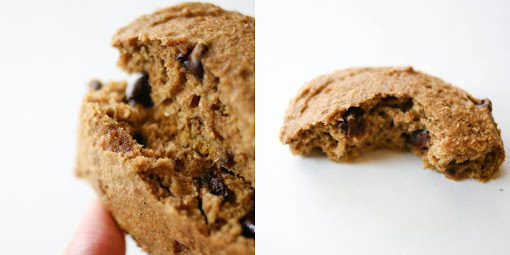 Impossibly soft pumpkin cookies kissed with the perfect amount of chocolate. I've heard everyone rave about Joy the Baker's soft pumpkin cookies. I made these cookies months ago, but haven't had the chance to post them until now! It wasn't even technically fall yet, and I had already pulled out my pumpkin puree and fall spices! I love the fall, with its beautiful light and chance to cuddle up in bundles of coats and knitted scarves. I slightly adapted the recipe by substituting whole wheat flour for the all purpose and by reducing the sugar and oil. It did nothing, and I mean NOTHING, to the taste of these babies. That's what is so great about all things pumpkin; it's so forgiving! The cookies were still incredibly moist and with the chocolate chips, the sugar wasn't even missed. So basically, when you munch on these monstrous cookies, there's no need to feel any bit of shame. Just let that pure joy wash all over you! pumpkin and vanilla until well combined. Mix in the flour to incorporate. Mix in the chocolate chips. 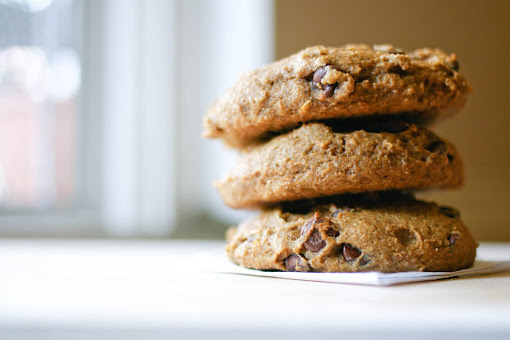 Using an ice cream scoop (1/4 cup size), scoop mounds of the dough onto the prepared baking sheets, spacing the cookies at least 2 1/2 inches apart. Use a thin metal spatula to smooth and flatten the rounds. Bake until tops feel firm and an inserted toothpick comes out clean, about 16 minutes. Cool on the baking sheet then transfer to a wire rack to cool completely. I love the cahnges you made to Joy's recipe. I will for sure need to try your version. oohh la la.. submit this to the LA Times cookie contest!! they look so wonderful and fluffy! haha. I've never had canned pumpkin before, is it similar to squash? Great adaptions! I'm bookmarking this recipe for sure :). I'm going to have to try your recipe. Love trying new pumpkin recipes! 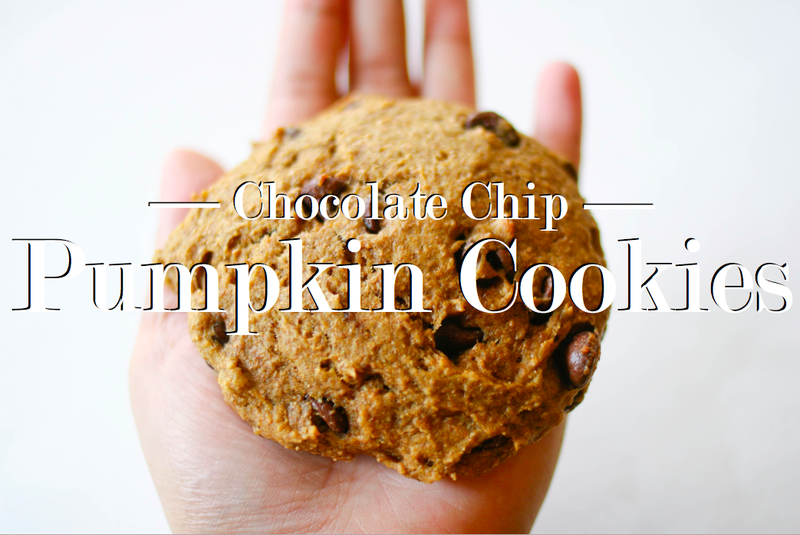 Mm I'm usually more of a chewy cookie gal, but these look fantastic and you're right, pumpkin makes everything delish. Your photos are so cute! These look fabulous! I made these cookies and over the course of three days, I ate all of them by myself! my family loves these! i used 3/4 cup of honey instead of sugar and they turned out great! I've made these twice. they are wonderful! @ Anonymous and Starla: I am so glad you both enjoyed them as much as I have :) Definitely a fall favorite! i baked these today and they came out wonderfully. they kind of have that crumbly texture of cornbread, and the wheat flour gives it a nice nutty flavor. the pumpkin and spices are subtle. overall a winner. like the poster above, my fiance kept sneaking them off the tray when i wasnt looking, so i know they came out awesome. 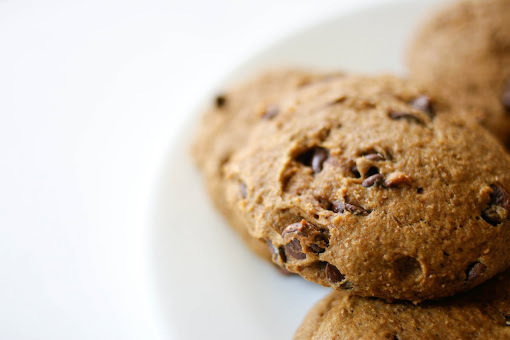 I am in the process of baking these right now and they are AMAZING! Just finished my first batch. I used real pumpkin (it takes one little baking pumpkin, baked in the over an then scooped and food-processed) and they are so moist and fluffy! Mine are probably a little wetter than yours are, and they kind of remind me of the texture of muffins. I am brining this recipe home for thanksgiving! Thanks for another amazing food to share! @ erin & jenny: YAY i am so glad you guys enjoyed them as much as I did!